In an age where technology and social media have infiltrated every aspect of life, Erin Condren took a chance on paper products to make every day just a bit more organized, stylish, and colorful. 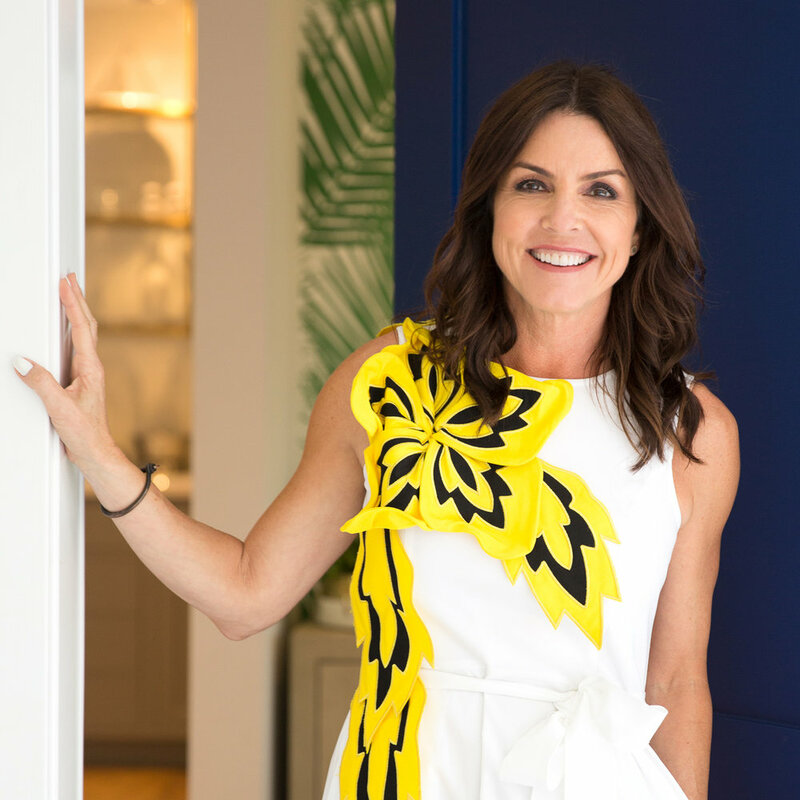 Since founding her company from her children's playroom in 2005, Erin Condren Design has evolved into a robust line of lifestyle and organizational products for all ages and styles. The first LifePlanner™ launched the same year as the first version of the iPhone and trust me, the irony was not lost on me. Everyone told me the future was digital, but I truly believed in the power of paper and writing things down. I have always been a lover of lists and I truly think there is value in physically putting pen to paper; it's tactile and there's research that shows it increases productivity. It's incredible to see how that gamble has paid off. Today we're seeing millennials with "scroll fatigue" getting tired of the glass screens and reaching for a pen. It's really inspiring to see a resurgence in appreciation for this kind of "old school" planning. You're 42% more likely to achieve a goal, just by writing it down! My advice for anyone new to planning is to simply try putting pen to paper. It's easy to look on instagram and get overwhelmed by gorgeous planner spreads with stickers and calligraphy, but at the end of the day it's really about setting yourself up to succeed. Start by writing down things you need to get done and things you want to get done. Make a to-do list and just see what you can accomplish. I guarantee you'll surprise yourself by how you respond. I always say that I wouldn't name the company after myself, and I’m not joking; I never thought about the repercussions of using my personal name! Growing the company as rapidly as we did (100% growth rate for several consecutive years), scalability was incredibly challenging. While I wished I had known the answers to some of those logistical issues, those growing pains have actually helped lead to the implementation of some amazing workflow and production processes. It's been a crazy (and sometimes bumpy) journey to get to where I am today, but I am so grateful to be surrounded by a talented team of managers and executives that can focus on the day-to-day operations while I direct my creative vision towards new products and marketing. Connecting with the planner community and hearing the inspirational stories of how customers use their LifePlanner™ to achieve goals is truly the best part of this job. I am overwhelmed and honored to listen to how my planner has helped customers do remarkable things: beat cancer, lose 100 pounds, get into college, save for a house...it's such a special thing to get to share. It has surpassed all of my wildest dreams and is something I am so proud of. I have to be honest; it's not easy! Juggling work and family is something we can all relate to. For me, it's important to really set clear boundaries and timelines for when I'm "off limits." If I'm going to my son's water polo tournament over the weekend, that's the priority. By clearly delineating when I put my "mom" hat on, I can really go all in on that role, as opposed to trying to do both simultaneously. Setting those boundaries and accepting that you can't do it all, at least not at once, is crucial. What we've achieved in the past couple years has been amazing and I'm so charged and excited for the future. We're navigating a digital world and thriving, proving that there is a space for paper planning, as a complement and not a competitor. Just because you use a digital app doesn't mean you won't love a LifePlanner™ and vice versa! We are always trying to create new ways to improve our products, develop new ones and really listen to the community that supports us so much. I think the next 5 to 10 years you'll see us exploring partnerships and collaborating with likeminded brands to reach a larger global audience, as well as continuing to open more retail locations around the world. Stay tuned!